ABOUT US - Ecomate Sdn. Bhd. 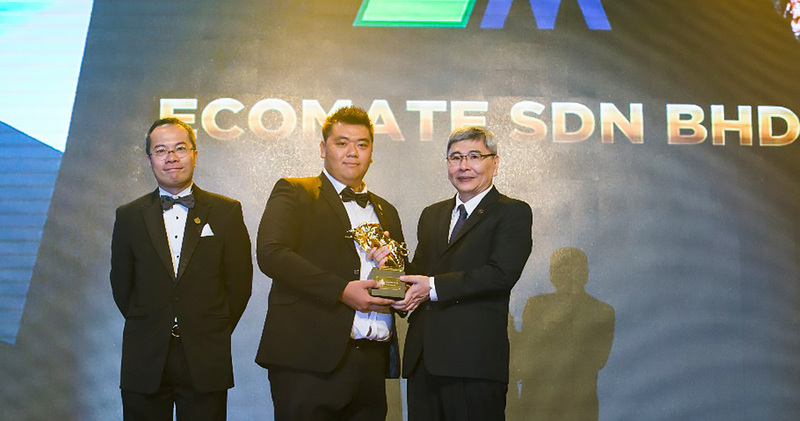 Ecomate Sdn Bhd has more than 25 years of manufacturing experience. Our aim is to be one of the pioneer and most progressive furniture producer in Asia Pacific region. Our integrated manufacturing facilities are based in Bukit Bakri, Muar Johor, Malaysia whereby we are specializing in producing panel furniture for HOME and OFFICE use, such as home office furniture, dining sets, living room furniture, occasional furniture, bedroom furniture and others. Under the leadership of our Co-Founders, Mr. Koh Cheng Huat and Mr. Jason Koh, our products have been accepted in more than 40 countries over the globe. Our goals are to offer elegant, attractive and better quality furniture to our clients and your satisfaction will always be our motivation. We are always behind you in this exciting yet challenging industry and we will continuously develop ourselves to be the most effective and efficient player in the furniture industry.